First, Bravo to you Mr. Wilbur!! (author of Top Secret Restaurant Recipes) I don’t know if anyone has checked out these books. I was super spectacle about these recipes being as good as the originals, but this copy-cat recipe blew my socks off! If I wasn’t the one that made it, I wouldn’t have believed it didn’t come from TGI Friday’s. If you haven’t tried this recipe either at the Friday’s restaurant or through this recipe you are missing out. And since Father’s Day is in a week I thought I would post something that would be an awesome meal to celebrate! I don’t know about your man, but mine is all about meat, so what better to make then ribs. For me, I’m super picky when it comes to ribs. This recipe gave the meat a super yummy flavor, and the glaze is amazing. The only thing I didn’t like is that the meat didn’t fall off the bone. Which in my opinion, if they don’t fall off the bone they aren’t true barbecue ribs, but these were super good for home made ribs. And my hubby loved them. Definitely an awesome dinner recipe!! Quick Tip: If you are like me, you’re gonna make the glaze at the same time you are cooking the ribs. So when I was roasting the garlic for the Jack Daniel’s glaze I just threw it in with the ribs for just over an hour since your baking at 300 degrees with the ribs instead of 325 by itself (like 10 to 15 minutes longer). Preheat the oven to 300 degrees. 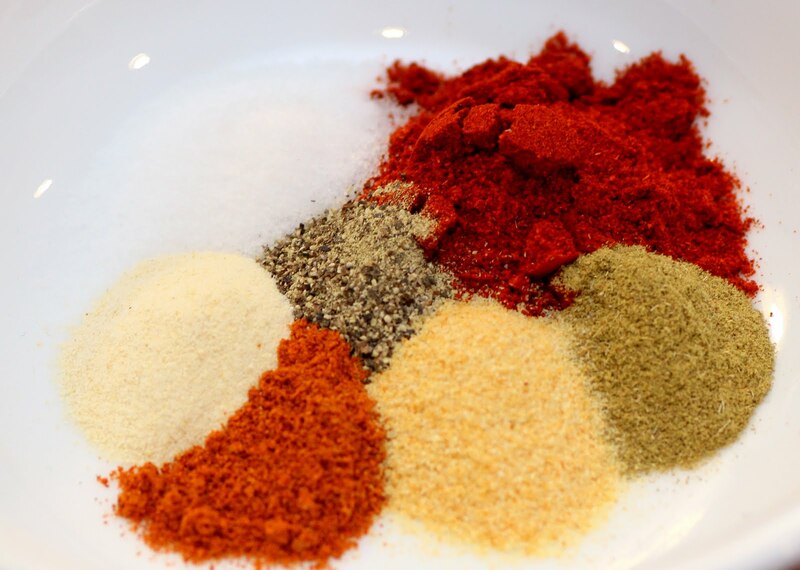 Combine all seasonings in a small bowl. Sprinkle on both sides of each rack of ribs. 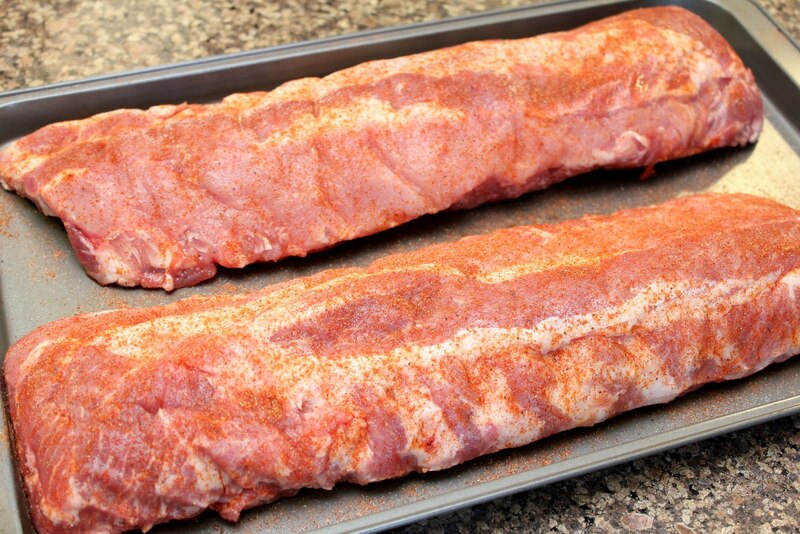 Place the ribs on a baking sheet and bake for 2 1/2 hours (for easier clean up, cover caking sheet with tin foil). Preheat the barbecue grill (or an indoor grill pan) to high heat. Grill the ribs for 3 to 4 minutes per side, or until grill marks form. 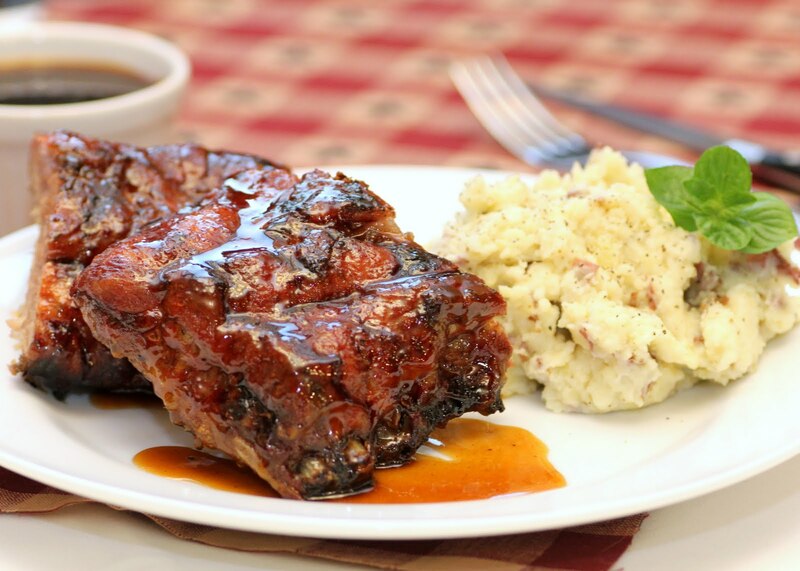 Immediately after removing the ribs from the grill, brush with Jack Daniel’s glaze and serve with extra glaze on the side. Preheat the oven to 325 degrees. Cute about 1/2 inch off of the head of garlic. Cut the roots so that the garlic will sit flat. Remove the excess papery skin from the garlic, but leave enough so that the cloves stay together. Put the garlic into a small casserole dish or baking pan, drizzle the olive oil over it, and cover it with a lid or foil. Bake for 1 hour. Remove the garlic from the oven and let it cool until you can handle it. Combine the water, pineapple juice, teriyaki sauce, soy sauce, and brown sugar in a medium saucepan and place over medium/high heat. Cook, stirring occasionally, until the mixture comes to a boil, then reduce the heat until the mixture is just simmering. Squeeze the sides of the head of garlic until pastry roasted garlic is squeezed out. Measure 2 teaspoons into the saucepan and whisk to combine. Add the remaining ingredients to the pan and stir. Let the mixture simmer for 30 to 40 minutes, or until the sauce has reduced by about half and is thick and syrupy. Make sure it doesn’t boil over. Makes about 1 to 2 cups of glaze. If desired, strain chunks out of glaze for a smoother consistency.